Inspired by the lavish design synonymous with colonial Maharaj times, Asian Dragon brings you quality traditional Indian furniture incorporating the style of Thaket, Jali and Sikar. 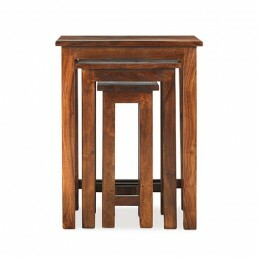 This furniture range is finished in a mid-brown colour with subtle wood grain contrasts. 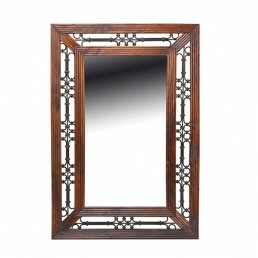 Each piece is hand made from sustainable Sheesham hardwood and many pieces are finished with wrought iron handles and portcullis iron work. 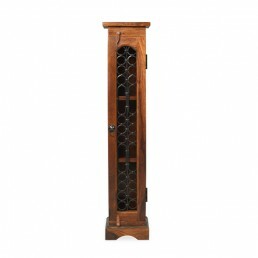 It includes solid wood furniture suitable for your lounge, dining room or bedroom. This range is so well built and sturdy making it suitable for commercial environments as well. 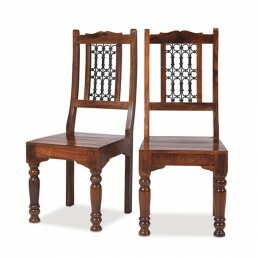 Chunky style dining chair. 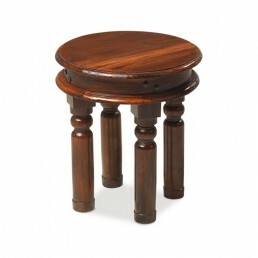 This chair is built from solid Indian sheesham hardwood which has..
Chunky style dining table available in five sizes. 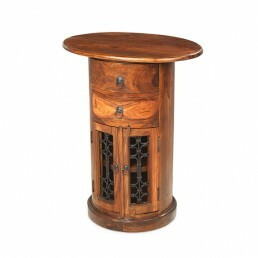 This table is built from solid Indian she..
CD cabinet holding approx. 100 CD's in 10 drawers with iron handles. This CD tower is built .. 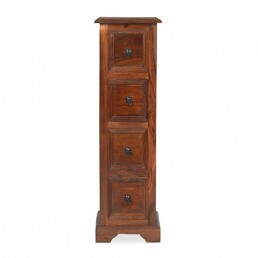 Oval drum cabinet with two drawers and two doors. 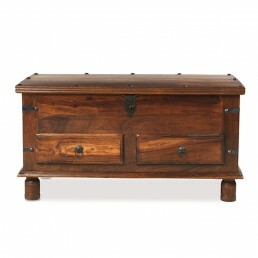 This chest is built from solid Indian shee..
Small sideboard with two drawers and two doors. 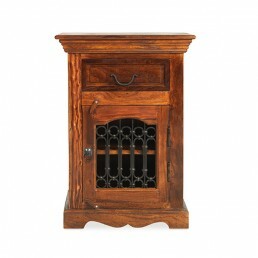 This cabinet is built from solid Indian shee.. 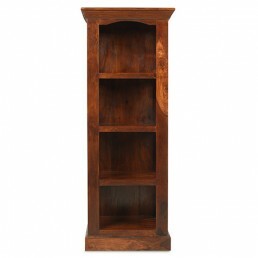 Corner display unit or bookshelf with three fixed shelves and cupboard underneath. 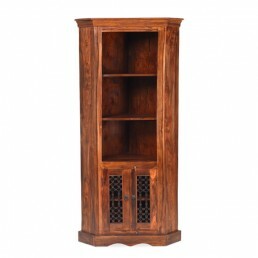 This cabi..
Large bookcase with four fixed shelves and one large drawer below. 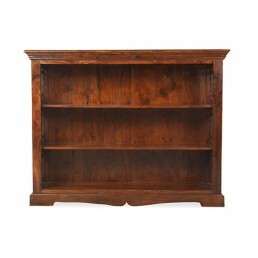 This furniture item is bu..
Bookcase or display unit with four shelves. 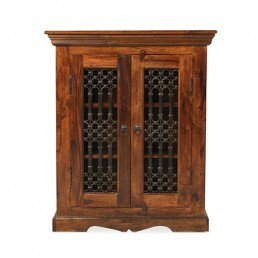 This Indian cabinet is built from solid sheesham..
Chunky style table nest. 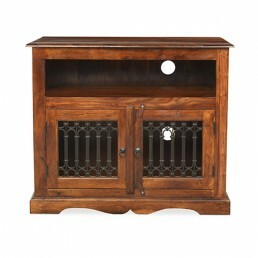 This table set is built from solid Indian sheesham hardwood which h..
Chunky style entertainment cabinet with one shelf, two doors and two DVD racks. This unit is..
Hi-fi media cabinet with two small drawers and one door. This unit is built from solid India.. 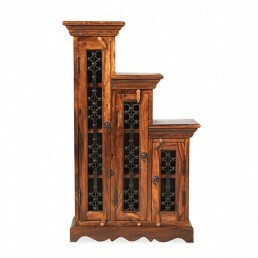 Step CD cabinet with three doors. Holds approx. 125 CD's on wood shelves. 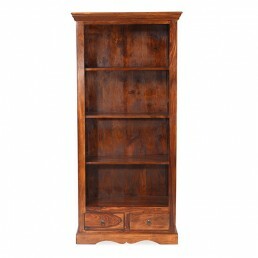 This unit is built..
Large bookcase or display cabinet with four shelves and two drawers below. 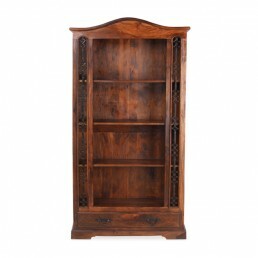 This Indian bookc..
Chunky style CD cabinet with four drawers and iron handles. This chest item is built from so..
Chunky style coffee table. 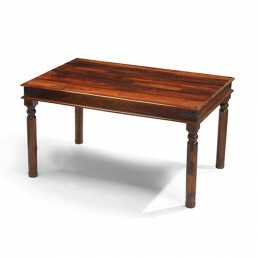 This table is built from solid Indian sheesham hardwood which has.. Corner entertainment TV cabinet with two shelves and three cupboards. This cabinet is built .. 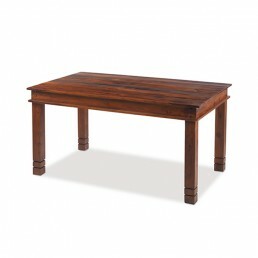 Dining table available in five sizes. 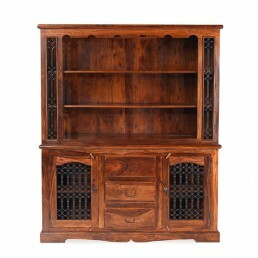 This table is built from solid Indian sheesham hardwoo..
Bookcase or CD/DVD cabinet with three shelves and two doors. 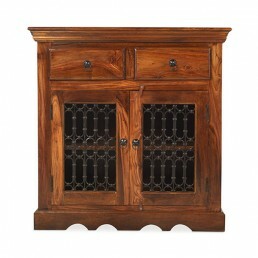 This cabinet item is built from..
LEFT OPENING DOOR SHOWN IN IMAGE Bedside or end cabinet with one drawer and one door. 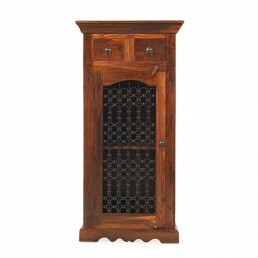 Th..
LEFT AND RIFGT OPENING DOOR SHOWN IN IMAGE Bedside or end cabinet with one drawer and one doo..
High backed dining chair with turned legs and Jali portcullis iron work. This chair is built.. 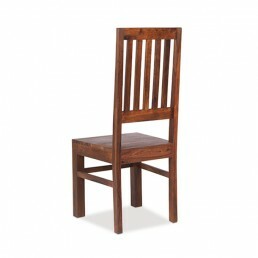 Dining chair with low back and turned legs. 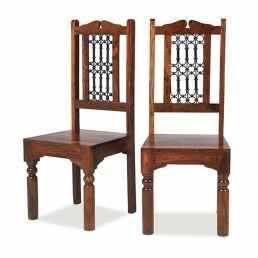 This chair is built from solid Indian sheesham h..
Jali style mirror which can be hung either way, landscape or portrait. This mirror is built .. 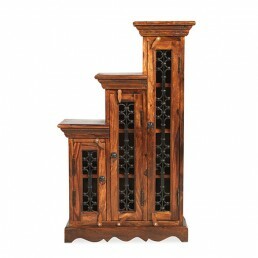 Right Step CD cabinet with three doors. Holds approx. 125 CD's on wood shelves. This unit is.. Slim CD cabinet with one door. Holds 32 CD's. 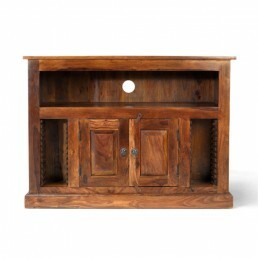 This unit is built from solid Indian sheesham ..
TV media cabinet with one shelf and two doors. 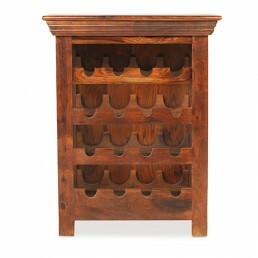 This unit is built from solid Indian sheesham..
Wine rack with four shelves which will hold sixteen bottles. 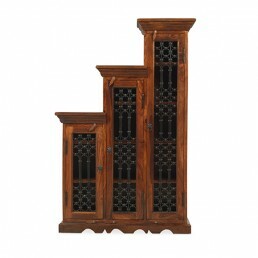 This rack is built from solid I..
Large CD/DVD step unit with three doors Left And Right. 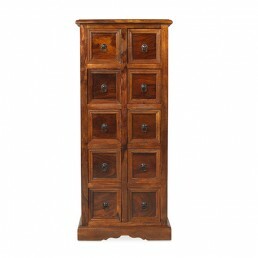 This cabinet is built from solid Ind..
Large dresser with three shelves, three drawers and two cupboards. 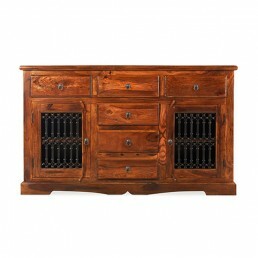 This cabinet is built fro..
Large sideboard with six drawers and two doors. 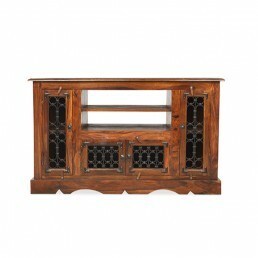 This sideboard is built from solid Indian sh..
Low bookcase or display cabinet with three shelves and Jali wrought iron portcullis work. Th..
Chunky style table nest with iron work. 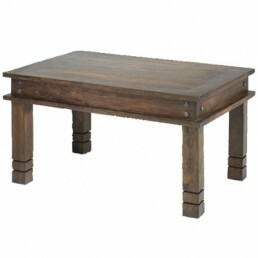 This table set is built from solid Indian sheesham h.. 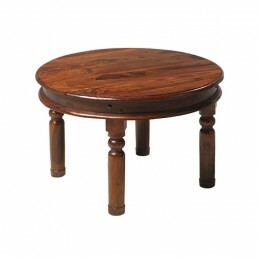 Round coffee table with turned legs. 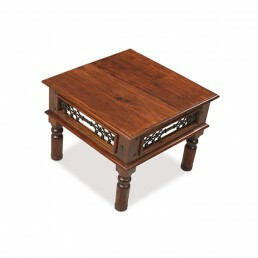 This table is built from solid Indian sheesham hardwood..
Coffee table with turned legs and Jali style iron portcullis decoration. 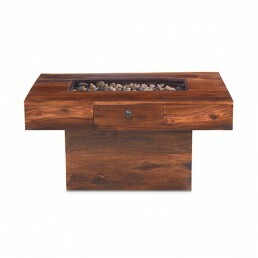 This table is built..
Cubic style coffee table with pebble feature. 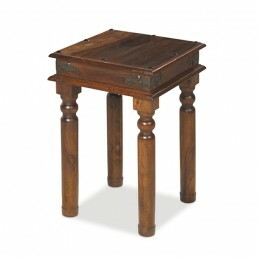 This table is built from solid Indian sheesham.. 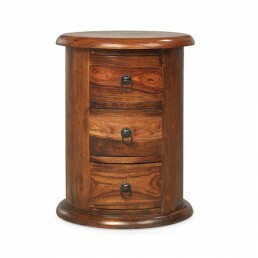 Round drum chest of three drawers with wrought iron handles. 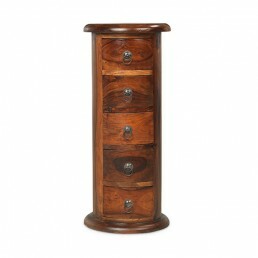 This cabinet is built from soli..
Cylindrical chest of five drawers with cast iron handles. This cabinet is built from solid I.. 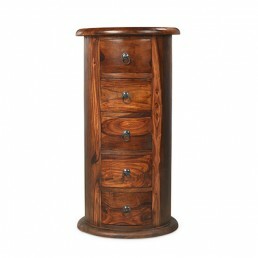 Round drum chest of five drawers with iron handles. 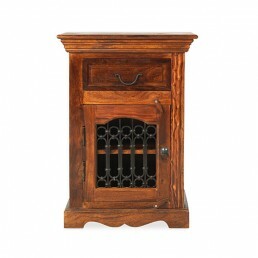 This cabinet is built from solid Indian .. 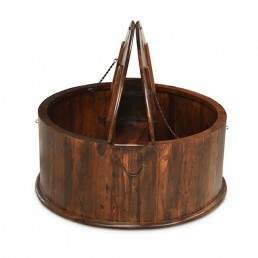 Round coffee trunk with storage space and lidded top. 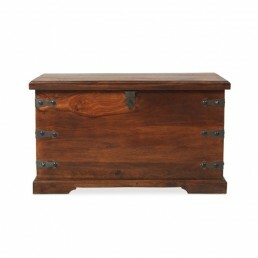 This trunk is built from solid Indian ..
Square coffee trunk with storage space and lid. 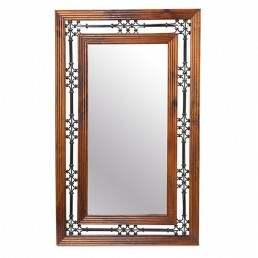 This trunk is built from solid Indian sheesh..
Chunky style mirror which can be hung either way, landscape or portrait. 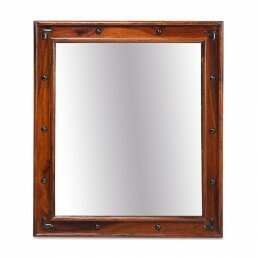 This mirror is buil..
Coffee table with iron work and turned legs. This table is built from solid Indian sheesham ..
Coffee trunk with storage space and lid plus two drawers with iron handles. 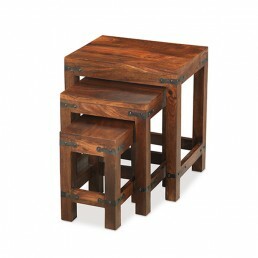 This trunk is bu..
Lamp table or plant stand with turned legs and iron work. 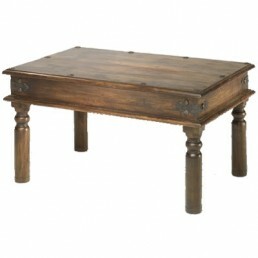 This table is built from solid Ind..
Trunk box with lid and Indian iron work. 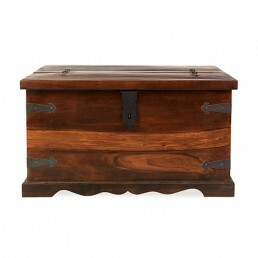 This blanket box is built from solid Indian sheesha..